If there’s one resolution you must set for yourself for 2018, it is to face an aspect many people prefer to avoid – getting your finances in order. If you are married, it is essential that you and your spouse share the same financial goals. Developing a plan, reviewing progress and contributing to meeting mutual goals must be a team effort, otherwise meeting your own personal financial goals will be near impossible. If you are one of the lucky few who happens to be on top of all things financial, consider re-visiting your goals and making adjustments to it for the next year. Whatever stage of life you happen to be in, older – and perhaps wiser – family members have probably been exhorting you to save, and spend wisely. The ‘spend vs. save’ conundrum does not by any means suggest that your vacations or outings with friends are relegated to the back burner. If anything, setting goals could actually mean ramping up the fun quotient in your life. How? Because you have nailed down the economics of being financially responsible. 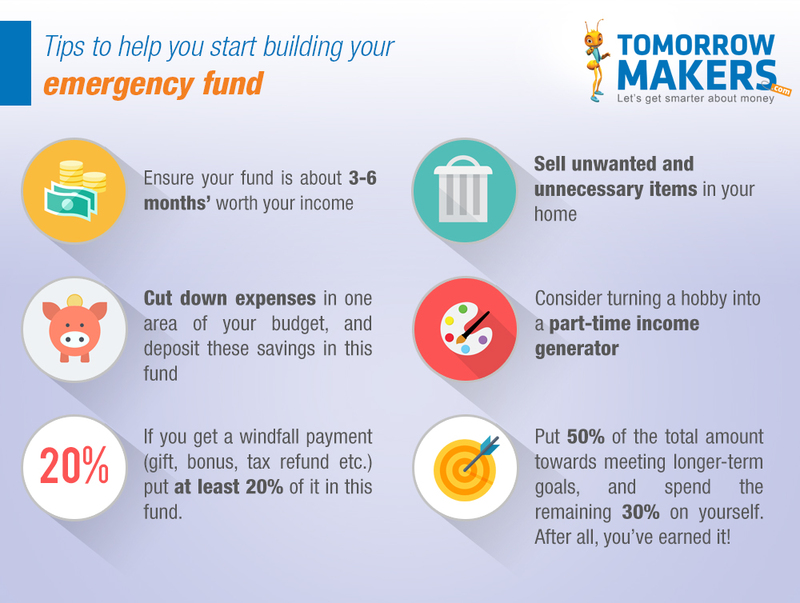 Here are some steps that will not only help you reduce your money troubles, but will also make it easier to manage finances and continue to work towards achieving your personal financial goals. Chinese philosopher Lao Tzu said, “The journey of a thousand miles begins with one step.” So, it is with setting up a process for your financial well-being. Start small. For you to know where you’re going, you need to establish where you currently are, and for that, you must set up a budget. You might think, “I know how much I’ve spent, and where I’ve spent it”, but it’s almost certain reality will bite when you track your actual expenses. Set up a spreadsheet to help this process. Create different expense heads so that it is easier for you to monitor and modify your future spending patterns. A monthly budget calculator can help you evaluate your spending habits on the basis of factors like rent, age, city, income and lifestyle. It can provide an overview result providing an insight into 'how much you should spend' and 'your peers' spending patterns'. Credit cards can be a lifeline, but can also be the bane of your existence. Drowning in debt will impact your personal, social, and possibly even your professional life, making it hard to keep up with life. Knowing the outstanding amounts and interest rates for each will make it easy to rank them in order of priority. Then determine how soon you can pay off each one. People tend to have different views on the sort of debts they should repay first. While you will find your own path, for many, credit card debt figures highest on their list. Given the onerous interest rates charged on credit card loans, it is advisable to prioritise this first. However, don’t ignore paying off loans with lower interest charges. Set timelines for each, and adjust your lifestyle to ensure these payments are met. As Lao Tzu suggested, start small. Don’t set yourself an unrealistic fund amount in an unrealistic time frame. It is better to save a little bit regularly than larger amounts sporadically, especially if you have loans hanging over you. Very few things in life are sequential, and this applies to your financial well-being too. While you’ve figured out your debt repayment plan, keep an eye on medium-term goals. If you don’t already have a term or health insurance plan, make it a priority right away. A term plan is particularly necessary if you have a family or dependents. It is the most economical form of life insurance, easy to understand and can ensure your family is provided for in your absence. And in all cases, ensure you have a health plan as it creates a safety net for the future. Term Plan: For instance, a term plan for a 25-year-old female (non-smoker), from Aegon with a life cover of Rs. 50 lakh costs approximately Rs. 248 a month (excluding GST) for 50 years. Health Plan: For a 25-year-old individual, a health insurance cover of 5 lakhs is approximately Rs. 6000 for an annual premium. The first step towards realising your dreams is fantasising about them – whether it is buying a home, a car, or saving for that dream holiday. On a slightly longer time horizon, extend your fantasy to thinking about hobbies, passions and things you’d like to do once you retire, or your dream retirement home. Don’t put this off just because it seems too far in the future. The sooner you set these goals – fluid as they may be first up – the sooner you’ll understand how much you need to save. And start saving, because it’ll never go to waste. There are various long-term financial goals that you could be planning for such as retirement or your child's education and marriage. But before you start saving for that distant future, you’ll need to understand how much you need for these events. Are you saving enough for your retirement? This retirement calculator can help you determine how much you will need to save if you want to live comfortably in the future. Considering the constant increase in education costs, it is essential that you start planning for your child's higher education as early as possible. Here some ways to fund your child's educational aspirations. Set a target amount for this. Narrow college and career choices down to 2-3 options and take into account current costs. You can also consider investing in a public provident fund (PPF) account in your child's name. It is a 15-year scheme that will build up a tax-free corpus for your child. An education calculator can help you figure out whether or not you will be able to afford the rising education costs. It will also take into account the type of institute, the area your child is interested in, etc. Set achievable financial goals, and work towards saving a part of your monthly income. The best thing to do is to review your progress regularly and continue to refine your plan. If meeting financial goals is still a problem, check your financial budget again and figure out where you can cut down expenses so that you can increase savings. Or if you’ve been hit with unexpected expenses, try getting back on track as soon as you can and breathe easy.